This 2018 Frontpoint vs. Vivint Security Review is a comparison in which we will contrast two different approaches to providing home security and automation. Frontpoint provides the entire spectrum of DIY security and home automation products and technologies with an industry standard 3 year agreement. 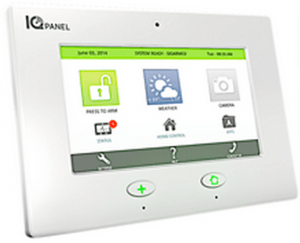 Vivint professionally installs the latest security and home automation equipment. After years of being maligned for deceptive sales practices and long monitoring contracts. Vivint has increased transparency and unveiled their new Flexpay program. Is it enough to unseat Frontpoint at the top of the charts? Read on to discover the winner of this Vivint vs Frontpoint security slugfest. In this review, we are comparing Frontpoint with Vivint and contrasting a variety of features in 5 separate categories. 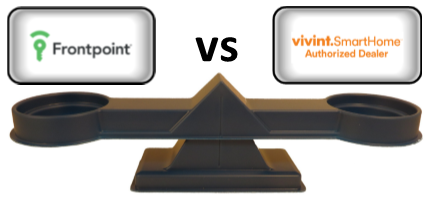 For the purposes of our Frontpoint vs. Vivint reviews, each category is given equal weight. These sections of the review are listed in the Table of Contents to the left, allowing you jump ahead to an area of interest by clicking on the link in the TOC. 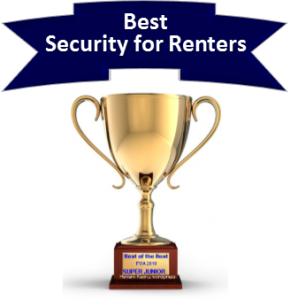 Although we select a “winner” based on the number of cumulative rounds won, your selection may differ according to your individual priorities and home security criteria. Founded in 2007, Frontpoint is a relative newcomer in the home security industry. 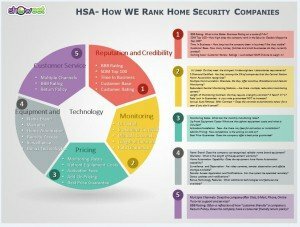 Nevertheless, they have forged a strong reputation for providing quality, professionally monitored and pre-configured DIY home security systems… backed by stellar tech support and customer service. 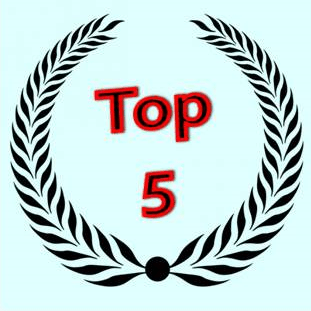 Consequently, they are frequently found at the top of most online review and ranking services and have earned an A+ BBB rating with just 71 cases lodged against them in the last 3 years.. Established in 1999 as APX Security, the company was acquired by The Goldstone Group in 2010 and re-branded as Vivint. For years they were plagued with BBB complaints, lawsuits and a very negative reputation. Complaints centered around rampant misrepresentation, predatory sales tactics, auto renewal clauses and an overall poor customer experience. Much of this was a consequence of a company culture fostering aggressive and high pressure door to door sales. Since the acquisition, a greater emphasis has been placed on customer service and resolving customer complaints…and the BBB rating has most recently been upgraded to an A-. However, negative online feedback continues to be the rule , rather than the exception, and BBB reports indicate that there were still 3,653 complaints filed against Vivint in the last 3 years. While Vivint has made significant strides over the years to improve their reputation, the jury is certainly still out as far as a sustainable long term commitment to meeting and exceeding customer expectations. A heavy reliance on a high pressure, straight commission door-to-door sales approach, where customers often feel misled by overzealous and unsupervised sales reps will likely ensure that there are always challenges to maintaining a positive reputation. On the other hand…Frontpoint’s proven commitment to providing best-in-class customer service, a low pressure sales approach and full online transparency ensures that Frontpoint will continue to lead the field in customer satisfaction and win almost any head to head comparison when it comes to reputation and credibility. Both companies provide UL Listed, Five Diamond Certified monitoring stations. Frontpoint outsources their monitoring to Rapid Response, a highly regarded monitoring service and Vivint handles monitoring internally. Both companies offer premium monitoring features with home automation, energy management and remote interactive capability. They each offer some additional premium services as well. Vivint offers 2-Way Voice (Live Assist), while Fronpoint offers Alarm.com‘s renowned Crash and Smash Protection and Geo Location Services. However, Frontpoint monitoring rates are substantially lower-with cellular monitoring starting at just $34.99 and range up to $49.99, where as Vivint plans start at $39.99 (with a $399 Installation Fee) and range up to $69.99. In addition to substantially higher rates, Vivint also requires longer contractual terms. Frontpoint requires an industry standard 36 month agreement (with an available one year option with lower equipment subsidy)-which is also available for renters. Vivint requires 42-60 month contracts and is only available to homeowners. Purchase the equipment our right – in which case the monitoring is available on a month to month basis, with no contract. FlexPay – Customer financed the equipment over a 42-60 month basis- with 0% interest. Monitoring is coterminous. Frontpoint is a clear winner in this category-offering substantially lower pricing, shorter and more flexible contract terms…to homeowners and renters alike. Frontpoint prides itself on providing a very customer-centric approach to home security. Boasting a consistent year to year A+ BBB rating, high customer approval ratings, flexible contract terms and a generous trial period- Frontpoint follows through on it’s commitment to providing a superior customer experience. However, the proof is in the pudding, so to speak…and to that end, they offer a 30 day, risk free, money back guarantee. They are so confident that you are going to love their products and services that they will issue a full refund, no questions asked, if you are not 100% delighted. No tricks…No gimmicks. No activation fees…no restocking fees….no shipping (they even pay the return shipping)…nothing to lose. On the other hand, despite having greatly improved customer service in recent years, Vivint still has yet to prove that they can sustain a level of excellence that can rival Frontpoint. .
Frontpoint offers a couple of options regarding the control panel. The basic system is the GE/Interlogix Simon XT. It is equipped with a cellular communication chip so it is 100% wireless right out of the box and has z-wave capability to fully support home automation and energy management capabilities. The Simon XT is easy to use and has provided reliable performance for many years in the home security industry. In addition, they now also offer the Qolsys IQ as an upgrade. This state-of-the-art panel has a more aesthetically pleasing design with an extremely intuitive, user friendly 7″ full color touchscreen user interface. It is fully compatible with the same Interlogix sensors and has some unique capabilities such as live weather reports, severe weather warnings and still video captures and storage of alarm arming and disarming events. Aside from the hardware technology, Frontpoint offers advanced monitoring technologies powered by Alarm.com. Crash and Smash Protection and Geo Location services represent the the most advanced monitoring and system management automation technologies available in security and home automation. While Vivint doesn’t offer Crash and Smash Protection or Geo location Services, they do include Live Assist in all their packages…which allows for 2 way communication to the monitoring center through an on board microphone. While I’m sure company representatives from Qolsys and 2Gig Technologies could argue the merits of their respective security and home automation systems for hours….the reality is that they are both outstanding examples of the latest innovations in security and home automation. In my mind it is virtually a toss up in regards to hardware. In regards to installation-with the systems being wireless…in my mind there is little need for professional installation. Frontpoint has streamlined the process so that it requires little more than placing the devices and calling in to activate. I would, however, give a slight edge to Frontpoint in terms of premium services that are available. While both companies offer a full array of comprehensive security and home automation solutions, Frontpoint clearly offers much lower monthly rates across the board. Vivints lowest plan is $39.99 and requires a $399 installation fee…where as Frontpoint starts out at $34.99 with a $99.00 equipment package. That is a difference of $240 a year. The pricing for additional security sensors beyond the basic package prices will be almost double with Vivint, For example, a standard door/window sensor with Frontpoint is $32.50 vs $60.00 with Vivint. And although Vivint does have a loner warranty- Lifetime vs. 36 Months….they do require a $49 Service charge after the 1st 6 months. Additionally, the inclusion of Crash and Smash Protection and Geo Location management capabilities in the Interactive and Ultimate monitoring packages make Frontpoint the superior value! While a case could be made for either company in regards to equipment and technology, Frontpoint is the clear leader in each of the other categories. They have a far superior reputation, comparable equipment, significantly lower pricing, Alarm.com’s premium interactive services backed by top notch tech support and customer service- in a streamlined DIY program that makes it our #1 choice in 2016! So which is best for me- a Frontpoint or Vivint Home Security System? At the end of the day, if you are a homeowner who prefers professional installation and want the latest in home automation technology and… don’t mind paying more and committing to a 60 month contract, Vivint is certainly an option. For more information on Vivint, check out our detailed 2016 Vivint Review. If you want the best customer service , lower monthly monitoring rates, and access to the latest security and home automation interactive technologies– Frontpoint is a better fit for you. For more information on Frontpoint , check out our detailed 2016 Frontpoint Review. Neither Frontpoint or Vivint require a landline for monitoring. As a matter of fact, both companies offer only cellular monitoring so that there are no phone or cable wires that can be cut to interfere with an alarm signal. Additionally, cellular connections are required for the Vivint Sky App and Alarm.com. While some Frontpoint vs Vivint security reviews might complain about the additional expense of a cellular connectio, it is a far more secure way of monitoring the home. If you happen to live in an area where cellular service is questionable, you may want to check out Protect America.